There are loads of medieval Islamic recipes for non-alcoholic beverages, but (Christian) Western Europeans were pretty happy subsisting on ale, mead, and wine. Of course, to be fair, the ale was pretty weak for most drinkers, and the wine was often watered, and in spite of what you may have read people did drink water. But there are a few scattered references to non-alcoholic beverages in medieval (western) tests which I’d encourage you to try at events. Typically, these seem to have been medicinal or wellness preparations, although I choose to think “ginger ale for a tummy ache” instead of “guafinesin for a cough” level of medicinal. Barley water (or tisane) is a famous option in this category. My favorite non-alcoholic beverages are those for which I can make long-keeping concentrates to mix with water at an event. Here are two that are at least plausibly historical for medieval Western Europe. Oxymel: This is just a Latin name for a nigh universal beverage made with water, vinegar, and honey. Use wine or cider vinegar and good local honey. I like equal parts of each heated together to make my syrup, which I then dilute in plenty of water. You can also use a 2:1 honey:vinegar ratio if you have more of a sweet tooth, and I’ve sometimes dissolved two parts honey in one part water before adding one part vinegar; this works well for honey that’s crystallized. The photo shows ready to drink versions of both these in glass bottles for easy transport to an event. 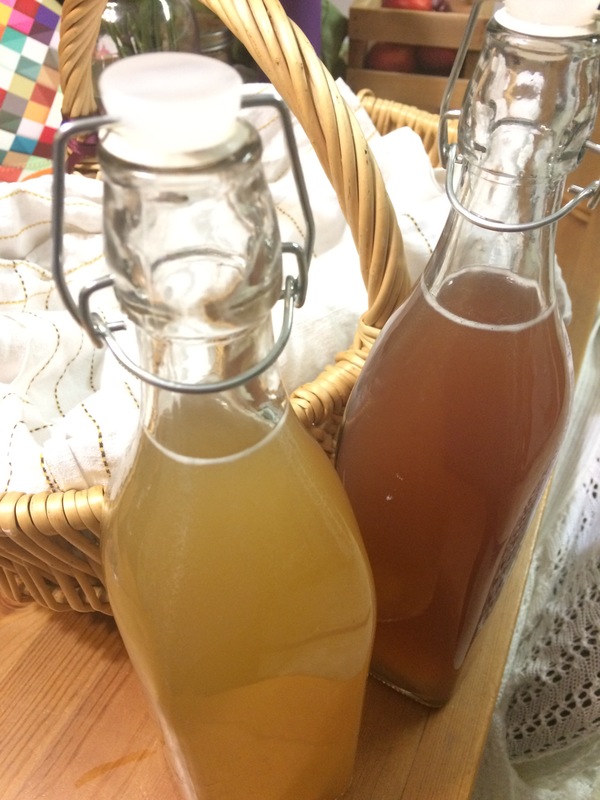 The oxymel is amber colored while the rose drink is… well, rose colored! Hopefully these can slake your thirst on a hot day.